The Heat is On! St. Mark’s has begun gearing up for the 77th Annual Chili Supper & Bazaar. Serving Christ, Community & Chili since 1941, has been an important mission of St. Mark’s. An old family recipe, dating further back then the chili supper itself, has been the ingredient for success in contributing back to our neighbors in Southeast Texas. 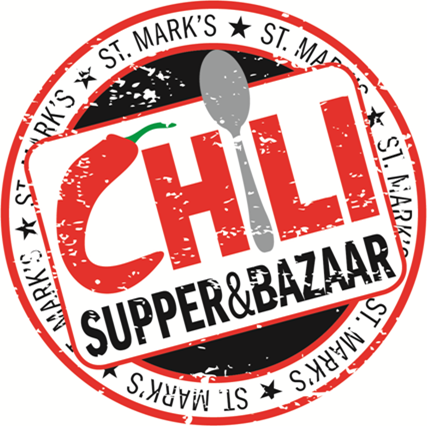 The Chili Supper and Bazaar is one of the primary fundraisers of the ECW (Episcopal Church Women) of St. Mark’s. For over 75 years members have cooked and served chili to the Beaumont community. Attendees also enjoy extensive holiday shopping at the bazaar, have opportunities to bid on fabulous silent auction items, and can even get their chili To-Go! New this year is the Chili Supper Beer Garden from 5:00 to 8:00 pm under the beautiful oaks on the grounds of St. Mark’s. Nothing goes better with “hot” chili than a “cold” beer! Grab your chili “To-Go” and step outside to enjoy your preferred “craft” and Beaumont’s favorite chili! The funds raised from the Chili Supper and the Treasure House (our resale store) enable St. Mark’s to annually help twenty local community service organizations. Want to make St. Mark's Chili at home? 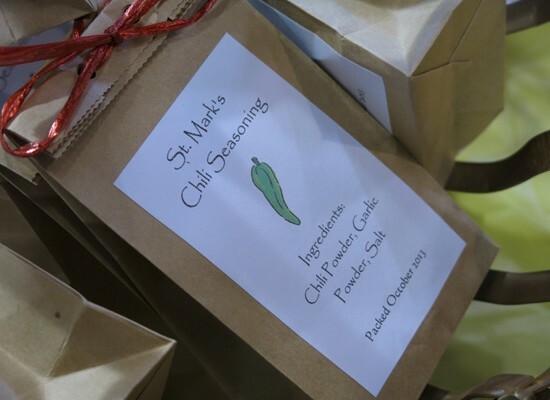 The St. Mark's Chili Spice Pack is a great way to make your own chili at home with two pounds of ground beef! Order it online and pick it up at the church during our regular business hours. Want to know more? Let us know. St. Mark’s Chili Supper is organized by the Women of St. Mark’s Episcopal Church in Downtown Beaumont, TX.